GOG has announced that it will remove password-protected RAR archives located inside some of its game installers. The move comes in response to complaints from Linux users who discovered that the innoextract tool could no longer handle the archives, which some of them equated to a form of DRM. Questions and concerns about the presence of the passwords surfaced in November 2014, although the issue didn't really seem to catch fire until late December. The lengthy forum discussion is fairly heavy on the Linux-speak, but the bottom line is that people weren't happy. Yesterday, GOG explained that the passwords were added to about 30 games with large install files for a number of reasons, but the primary goal appears to be to keep less tech-savvy users from "breaking" games by not using the installer to install them. The complaints from more advanced users, however, have led to a change in direction. "We’ve heard your concerns regarding this solution and we do agree it could have been better. 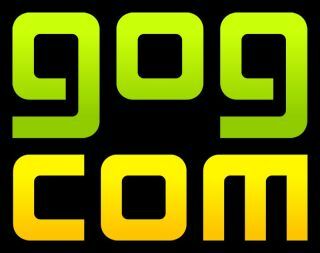 Although the same could probably be said about many other answers to this problem, it doesn’t mean we shouldn’t try to do better for our community," the GOG team wrote. "To that end we will be removing the mentioned archive protection from the select Windows installers that had it until a better solution, both technically and philosophically, is ready." It also warned, however, that its goal is to offer a "hassle-free, user-friendly" experience for all its users, regardless of their technical skills. "That is why cannot guarantee that our installers will never change and will forever remain compatible with each of such unsupported tools," the message concludes. "However, it never was our goal to purposely break compatibility with some third-party extraction tools or emulators used by some of our customers."